Monica Rich Kosann necklace from the Perseverance Collection. 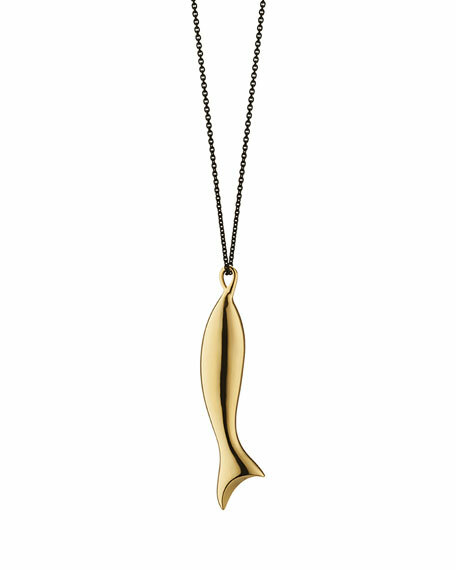 18-karat yellow gold fish charm. Delicate black steel link chain.